Physical fitness refers to a state of the body which is able to function normally when subjected to highly or moderately strenuous body activities. A body that is physically fit is often able to endure long hours of engaging in vigorous training or any strenuous activities such as running and lifting heavy objects. 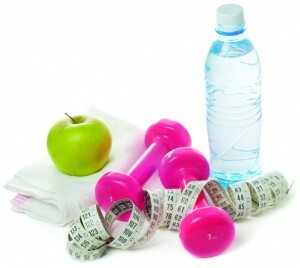 When you are physically fit, you tend to manage any kind of reasonable stressful activity. Suppose you have been training for many months but you hardly know whether you are physically fit or not, how can you ascertain your body’s level of physical fitness? The following five tips to test your fitness will prove to be beneficial in this area. First of all, you have to ascertain what you are testing. 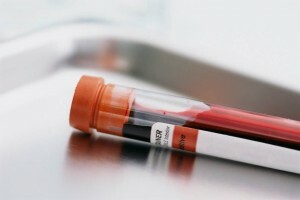 In other words, you need to know which part of the body you are testing for fitness. For example, testing the body for upper strength is often achieved by doing pushups. The number of pushups that you will be able to endure within a certain time frame will determine your upper body strength. This activity is meant for examining the strength that lies in the shoulders, triceps and chest. 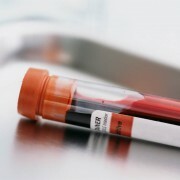 For most of the test methods that involve the testing of the body’s endurance abilities, it is often advisable to use a timer. 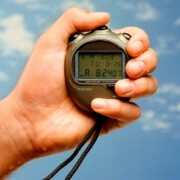 You can use any reliable stop watch to accurately calculate your ability to endure a certain physical exercise. For example, you can use a timer when testing the strength of the upper muscles through the use of the pushup method. 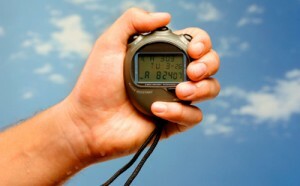 If setting and monitoring the time is not easy for you, try to seek help from another person. Core muscles are a group of muscles that are mainly responsible for stabilizing various body parts such as the abdomen, internal obliques and the glutes. In general, the core muscles are particularly localized in the torso. To ascertain the fitness of the abdominal plank, you need to assume the position for doing press ups. But, this time remain stagnant in that position while distributing your body weight between the shoulders and keeping the legs apart. The distance between the legs is supposed to be as long as the width of the waist or slightly more. Otherwise, your fitness test results will be inaccurate. The pull is not often regarded as an important way to test for the body’s upper strength. But, it is an important method that you can substitute for the push up method. This method is used to ascertain the strength of the latissimi dorsi which are commonly referred to as the lats. These are the large muscles that are found in the back of the upper body. They spread out to the sides of the upper body. Once you have managed to ascertain your upper body strength, you can proceed to determine your lower body strength. This is usually far easier than it is when testing the upper body strength. To ascertain the endurance levels of the muscles in the legs, you can use a simple technique which is a replica of sitting on a chair. However, you have to be sitting in the air this time around. While in that position, try to endure for as long as you can. Using a timer, you can determine the endurance of your lower muscles. Running or walking as fast as possible is another perfect way to determine the strength that lies in the lower muscles. Drug addiction is a wide and complex sector of medicine, with a large number of treatment areas in which physicians use their skills to help people with a physical dependency. The multifaceted nature of a problem like addiction means that a given addict may require a number of different forms of treatment, such as pharmaceutical and psychological, in order to get them through withdrawal and into good health, free from dependence. 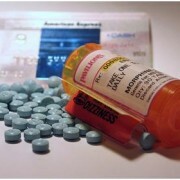 Addiction to prescription drugs – while avoiding the increased health risks which are associated with the impurity and non-specific origin of street drugs – can be similarly hard to break, and can cause some of the same long-term effects; such as venal problems (for example) in both heroin (street) and morphine (prescription) addicts. Like heroin, many prescription opioids such as morphine and codine can be treated with the very effective substitute, methadone. Methadone mimics the effect of the addictive opiates so that the patient can be free from the unpleasantness and distress of withdrawal while not attaining as much of a ‘high’ as the abused substance, meaning that it is more compatible with work and is less likely to be abused in itself. Another form of treatment is the opiate antagonist naltrexone, which negates the effect of an opioid drug, meaning that it can be used to treat overdose and to halt minor addictions. The treatment of people who are addicted to prescription sedatives such as barbiturates and benzodiazepines is rather more serious, in that withdrawal from these drugs is very sensitive and dangerous, while only limited research has been conducted into best practice. However, it is understood that the safest way to help a patient to withdraw from sedatives is to help them to cut down slowly over a period while keeping them under close medical examination. It is also useful to assist a patient through counseling in which they can be taught to deal with stressful circumstances without resorting to sedating substances. Heroin treatment is one of the most important areas of drug-related medicine due to the severity of heroin addiction and – as is the case with heroin in North Carolina – because in many areas this form of abuse is increasing. In this case drug users were moving onto this dangerous drug due to the closure of certain factories which had been producing opioid pills. Heroin addiction is most commonly treated with the aforementioned methadone, an effective way to keep an addict comfortable. Suboxone is a less-common though useful form of treatment, which differs in that it is less potentially dangerous than methadone (and hence can be stored in high volume by patients) while having less potential for abuse because it does not give rise to any ‘high’ whatsoever. However, suboxone has an effective cut-off point where it will not be useful in treating more intense addictions, while methadone is not limited in this way. The way in which people think together with their individual psychology is increasingly used in the process of drug rehabilitation, to give addicts the support which they need to stay the course of their detox while aiming to understand what caused their addiction so to avoid a relapse. Drug withdrawal, especially with substances like alcohol, is a very emotionally stressful process, with the patient experiencing high levels of distress and discomfort. Understanding a patient’s psychology allows the physician to find out why they were unable to give up drugs before and what can be done to support them through the detoxification process, giving them the strength to continue. Further to this, by understanding the reasons why people take drugs – such as due to depression or family problems – medical personnel can understand what caused the addiction and thereby find a way to address these issues,g thus avoiding relapse. Modern physicians have available to them a diverse and targeted range of methods for dealing with addiction which, while complicated, provide a framework which enables them to help an addict to regain their lives. With advances in the psychology of addiction, medical professionals are able to attack the route of dependency and work to resolve the underlying causes – work which is fundamental at a time when a number of drug-classes are used in increasing numbers.